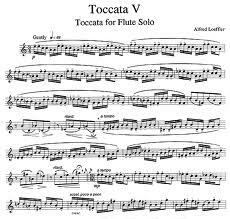 I can't move past the topic of NaBloPoMo without giving a heartfelt nod to my friend Toccata. Although I am not going to make a secret of the fact that I wish to hell she would start blogging again, I am very grateful that she posted a comment on my blog each and every day, without fail, for the entire duration of November NaBloPoMo. And these weren't phoned in comments either. These were legitimate responses to the blog topics, honest reaction from someone who doesn't pull punches or suffer fools, if you want to get all your cliches out there at once. So to Toccata, a heartfelt thank you for spending the month with me. Your daily comments made me realize just how much I miss your blog. I have enjoyed Toccata's comments and really wish I could read her blog! I was disappointed when I clicked on her link only to find no blog or profile attached to it. Ah, that's so sweet. It goes without saying I love the music you posted! Maybe we can guilt her into restarting her blog, WC. Good bloggers are sorely missed. I wrote my heart out this morning trying to convince one to stay on. I know, right,Kelly? Let's pressure her. I hope you are successful, Leazwell. So many good bloggers just seem to be fading away.